money to ensure foodservice at its best. Clients & Projects We have completed projects all across Australia and Internationally with a wealth of experience to deliver the design and functionality required. From bars, cafe, resturants to pubs, clubs and stadiums. Cini Little Australia is a specialist foodservice consultant and design firm providing a range of services in concept planning to implementation. Each commercial foodservice project is treated as a unique challenge to find effective solutions for profitability and efficiency. We strive to achieve a clear and strong line of communication, detailed planning and systematic implementation to ensure positive results for our foodservice clients. Our consultant team represents a wide variety of disciplines which include professionals in design, dietetics, foodservice, hotel operations and training. We are completely independent and impartial foodservice consultants and have no affiliations with suppliers working on agreed fees only, by following a code of ethics as much confidence is entrusted upon all foodservice consultants. Be certain you are using the specialist skills of a reputable foodservice consultant as many will claim to design a foodservice operation, the success of your project requires proper advice, design and proper equipment specification, professional experience, capability of service. Further what you should look for and expect, a vast knowledge of the foodservice industry with a wealth of resources and information and strong communication skills. To discuss your commercial food and beverage project and design a plan to succeed call our foodservice consultant team on (+612) 9418 8324 or use our contact us page. Cini Little were commissioned by the Club to design and document the F & B outlets for their new club premises. 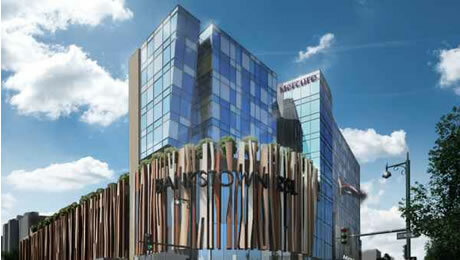 The building to comprise several levels of parking, two club levels and a future 80 room hotel. The Club Ground Level with 1000 m2 of Lounge and Dining area with seating for 700 patrons with bar facilities and three themed display Kitchens, being Grill, Italian and Noodle. Adjacent to the Club Foyer, a Café to service the Gaming Area, the future Hotel and externally to the street. On the level above, a Buffet Restaurant to cater for 750 patrons. The design brief required for two service periods for both lunch and dinner, thus 3000 covers on a busy day. The Buffet was to offer a varied menu, including a Seafood section, sushi train, wok cooking, grill section, carvery, a variety of hot and cold dishes, salads and desserts. Cini Little Australia is a leading Foodservice Consultant firm providing exeptional advice, consultancy and design across Australia and around the world. Cini Little Australia Pty Ltd 2018 © All Rights Reserved.